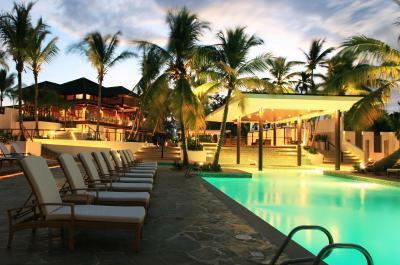 Lock in a great price for Casa de Campo Resort & Villas - rated 9.1 by recent guests. The resort has everything you need, great pools, great beach, great golf courses and the scenery is amazing especially the little village they built. Marina is awesome for just relaxing and watching the world go by. I liked the restaurants, very good food. We had a great maid who served us breakfast every morning and made the stay very comfortable. We Inlived the golf course Teeth of the Dog. 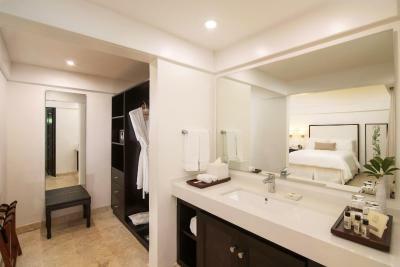 Our room was recently renovated, amazing amenities. 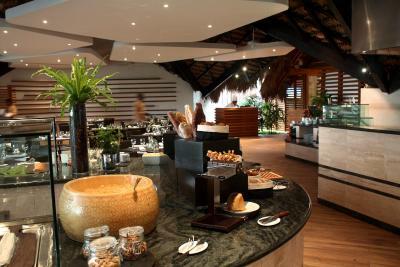 Isla Catalina is amazing, the breakfast is excellent but far to expensive, the hotel is wonderful. Excellent golf courses and amenities, the pool schedule should be increased to at least 7 PM! It was the wonderful holiday for us. The best location and the best staff, everything is greatest!!!! Cleanliness, huge spaces for everything. 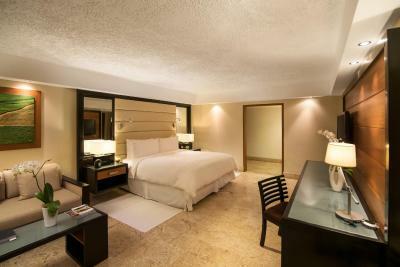 Best bang for the buck, they also upgraded our room to a luxury one for free!. 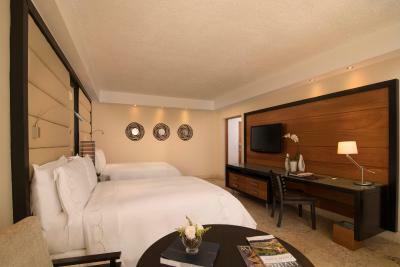 Staff is very professional and really fast, room service at 3 AM is not exception :) Unlike other resorts, Casa de Campo is huge, 7,000 acres with a lot of difference places and more than 30 activities and amenities. I sure will go back soon to stay for a longer period. The place is quiet and very relaxing, you feel renewed from day one. 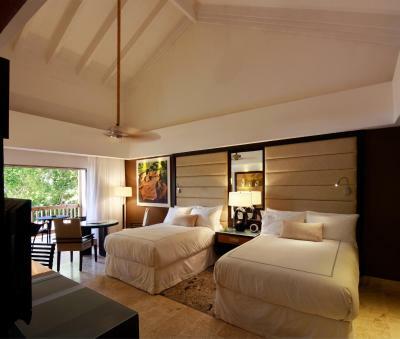 I have been to a lot of resorts and even the ones at Cap Cana wont come close to all the things you get at Casa de Campo Resorts. With that said, there are many other good places nearby, like Altos de Chavon, rivers and lakes, La Marina Casa de Campo and many more. 100% recommended! 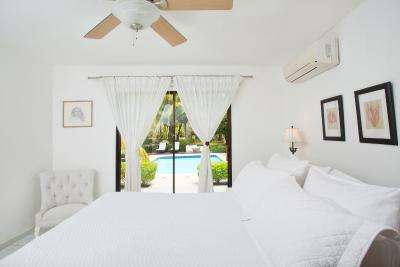 extremely clean, beautiful well decorated ample rooms. Very Confortable bed. 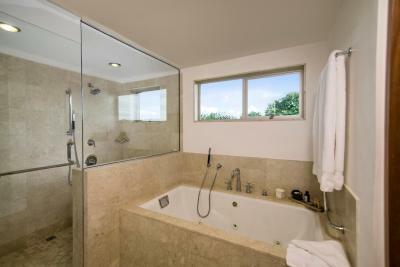 Excellent bathroom space and cleanness. Great place to relax and have a good time. The place is so nice, green all around, mango trees, flowers, palms, very well organised. 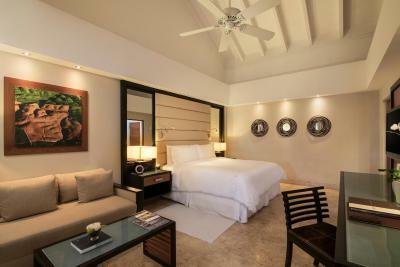 The room was very clean and stylish, even with the a/c turned off it wasn't getting very hot. There were high quality amenities. The bed was extra comfy. You should definitely get the breakfast. We felt the golf carts were a lot of fun to drive around. 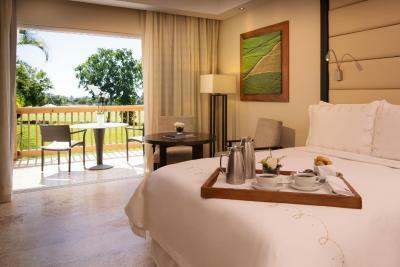 Hotel rooms at Casa de Campo feature rich mahogany furnishings and a private balcony or terrace. 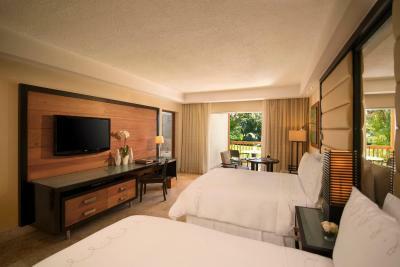 Each is equipped with free Wi-Fi and a 42-inch flat-screen TV. 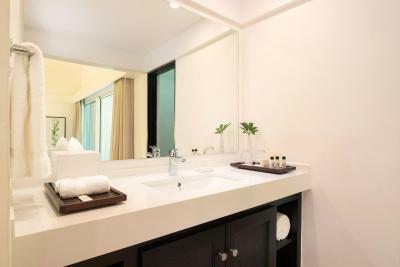 A large walk-in closet and a private dressing area with black marble vanity are included. On-site restaurants include the Beach Club by Le Cirque, serving seafood and grilled meats, La Cana by Il Circo, serving international food, and La Casita at the Marina, featuring fine Spanish cuisine, La Piazzetta located in Altos de Chavon and Lago Restaurant for breakfast. Guests of the Casa have access to their own 4-passenger cart for touring the resort. A vast selection of activities is available, including the top-rated Teeth of the Dog golf course, water sports, and horseback riding. A health spa and nightly shows are also offered. Amenities include a private beach, expansive marina, tennis and polo facilities, and 3 championship golf courses—including Pete Dye’s masterpiece. 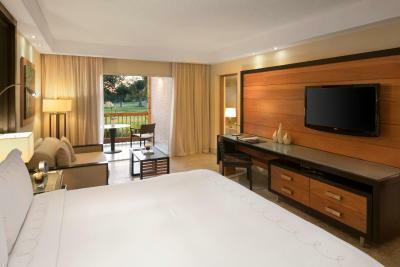 The Casa de Campo resort is 2.5 miles from downtown La Romana and just over 1 miles from the baseball stadium at Puerto La Romana. 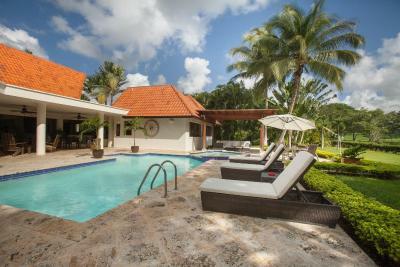 Casa de Campo Restor and Villas is 45 minutes' drive from Punta Cana International Airport on the Autovia Coral highway. 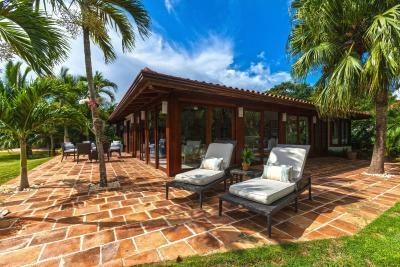 This property also has one of the best-rated locations in La Romana! Guests are happier about it compared to other properties in the area. 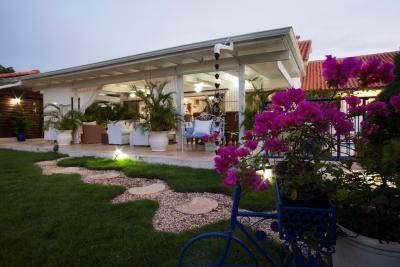 This property is also rated for the best value in La Romana! Guests are getting more for their money when compared to other properties in this city. 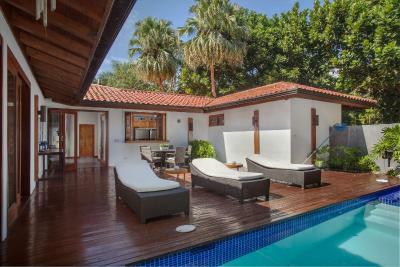 Casa de Campo Resort & Villas has been welcoming Booking.com guests since 7 Apr 2011. 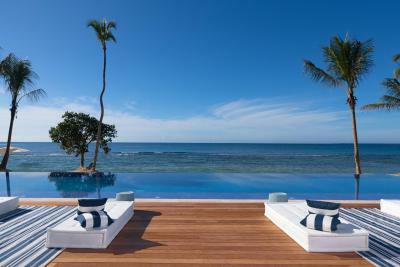 When would you like to stay at Casa de Campo Resort & Villas? The original accommodations at the Resort, these rooms have been completely modernized while still respecting their historic character and details. 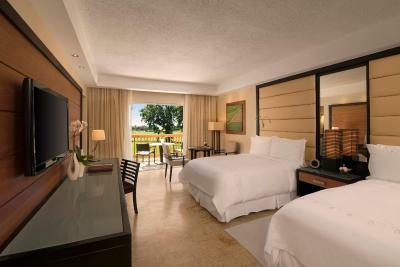 Tropical and golf course views from the privacy of the second floor balcony of your stylish and comfortable room. 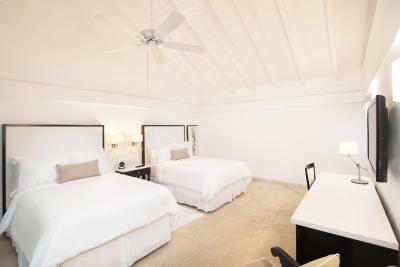 Featuring chic décor and cathedral ceilings, Elite Balcony rooms offer the same amenities as our Elite Patio rooms but with a second-floor view of the lush tropical landscape and stunning golf courses, and also partial sea views. Mahogany privacy panels and sliding glass doors reveal fully furnished private balconies perfect for relaxing. This room offers free daily cleaning service. Located on the first-level, Elite Patio rooms feature contemporary design elements like rich mahogany wood and native stone. This uniquely relaxing atmosphere is complimented by a private terrace, allowing guests to fully experience our beautiful natural surroundings. The original accommodations at the Resort, these rooms have been completely modernized while still respecting their historic character and details. 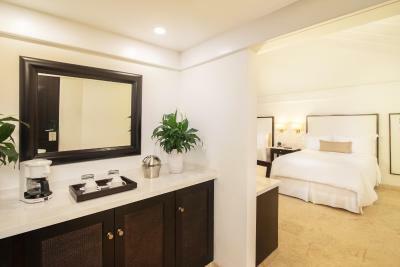 These garden-view rooms feature a balcony or patio, a flat screen TV, hi-speed WiFi, a Blu-Ray disk player, a minibar, 2 double beds, a seating area, a private bathroom, a mahogany walk-in closet and a safety-deposit box. This double room has a bathrobe, DVD player and iPod dock. 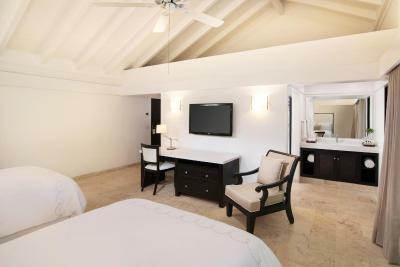 This villa features 3 bedrooms, one 4-passenger golf cart, butler and assigned maid, full breakfast, separate living and dining areas, fully equipped kitchen, central air-conditioning, 42” LCD flat-screen with cable and Blue Ray and welcome amenities.Daily maid and butler services for cooking and cleaning services are available. 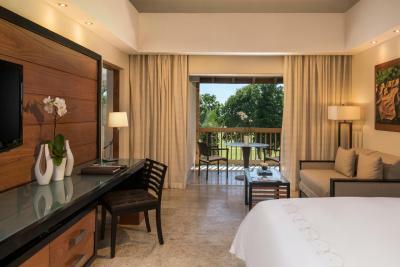 Featuring World-class treatment in all the 5 bedroom villas completely furnished in various decorating styles with your own 2 golf carts to drive around the resort, fine linens, as well outdoor and indoor separate areas and pool. 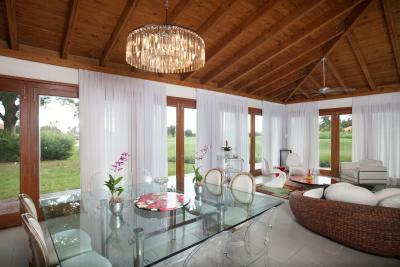 This villa boasts 1 master bedroom with 1 king-size bed and 4 bedrooms with 1 double bed; all rooms come with a bath. Daily maid and butler services for cooking and cleaning services are available. 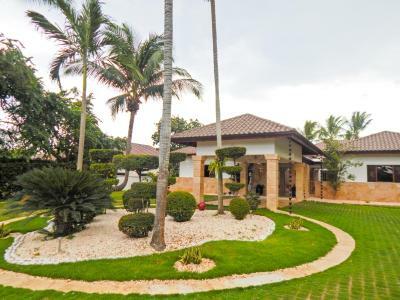 Surrounded by lush tropical greenery, this villa features 4 bedrooms, two 4-passenger golf carts, full breakfast, separate living and dining areas, fully equipped kitchen, central air-conditioning, 42” LCD flat-screen with cable and Blue Ray and welcome amenities. Daily maid and butler services for cooking and cleaning services are available. 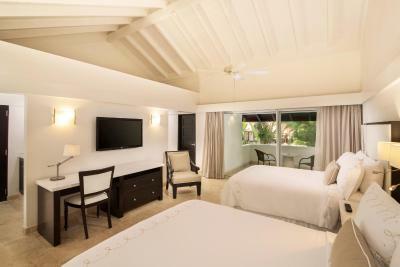 Featuring World-class treatment in all 4 bedroom villas completely furnished in various decorating styles with one 4-passenger golf cart and one mid-size cart to drive around the resort, fine linens, as well Outdoor and indoor separate areas and Pool. Daily maid and butler services for cooking and cleaning services are available. 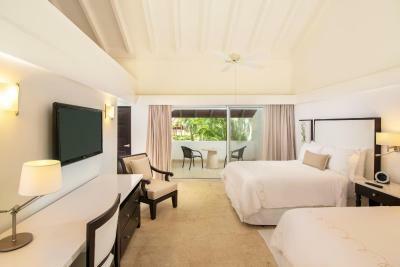 This double room features a balcony, bathrobe and patio. A destination like no other. For avid sport lovers to people looking for peace and quiet. The most you can have without even doing anything except riding all day on a golf cart. 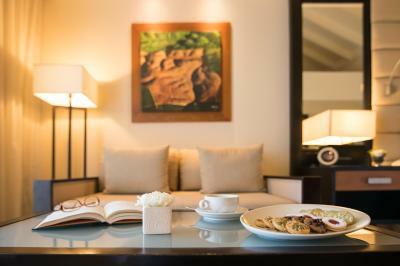 House rules Casa de Campo Resort & Villas takes special requests - add in the next step! Casa de Campo Resort &amp; Villas accepts these cards and reserves the right to temporarily hold an amount prior to arrival. 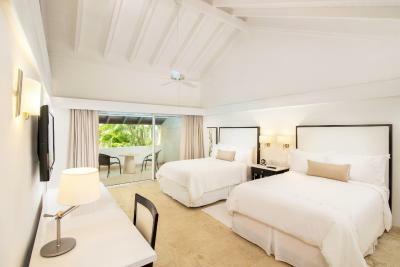 Casa de Campo Resort & Villas accepts these cards and reserves the right to temporarily hold an amount prior to arrival. 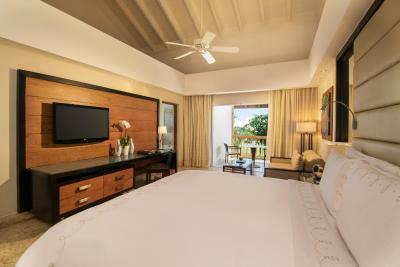 Please inform Casa de Campo Resort & Villas in advance of your expected arrival time. You can use the Special Requests box when booking, or contact the property directly with the contact details provided in your confirmation. Lots of noise from the street could be heard in the room, mattress was extremely hard and tv and programing very bad quality and resolution, no HD! 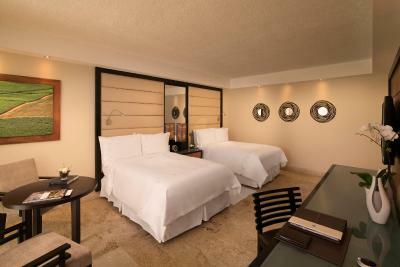 Service was excelent, big room, excelent bathroom, best pillows ever. I didn’t like the beach.. it was too crowded and noisy. Too expensive for what it is. The staff wasn’t very helpful. We had rented a 4 room villa and the concierge didn’t take the time to show us around the house or tell us about the facilities/services in the hotels. He even forgot to give us the keys so we had to wait inside the house for a long time until someone was able to bring them. We had organized a transfer from the hotel to the airport with an external company. They kept the driver at the entrance for one hour (they wouldn’t allow him go inside the area of the hotel) and in reception they told us they had already let him in. We waited in reception with no help at all and almost missed our flight. Bad service. Excellent facilities and service. Staff went out of the way to help with everything, including making sure we had an English speaking driver. Breakfest very expansive - with tax over 30$! 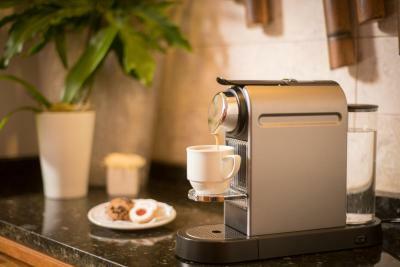 There should be a amarter and smaller option than just the big buffet (which is nice though). We got there at 5:00PM for check-in(2 hours after the standard check in time) - had to wait about 15-20 minutes for the representative to find a room that had two queen size beds, even though I had originally requested this in my reservation. Once we got our keys, it was already 5:30pm so we asked for the rep to send us a microwave and a set of silverware for us to heat up some food that we brought with us since we were hungry. When we got to the front of one of the rooms, the concierge realized that it was already occupied. We waited another 45 minutes for them to figure out another room.. when we finally got a new room, we headed out to get our golf cart to go to dinner. Golf cart wasn't even there and no one from the nearby staff could help us.. I had to call the front desk two-three times and after 20 minutes, they sent a KEY, instead of the cart that I had asked for. They went back again and came back in another 10 minutes with the cart. After all this.. I overheard some of the staff outside the room complaining that I had called to follow up on the microwave/silverware, so unprofessional! Even still, the microwave did not arrive to the room until 11:00PM, when we were already sleeping! How could this be if they had told us in check-in that it would be in our room right away but it took +5 hrs instead? I would've rather them told us that they didn't have any available.. and of course the complaints from the staff outside our room was unnecessary. We requested a check-out to be extended after all this hassle and even though they said that all we had to do was to change our room keys to new ones, the new ones did not work when we tried them for the first time after exchanging them. We had to go all the way back to the lobby, wait another 20 minutes for them to fix it. Overall, it was a terrible experience and we got treated with very unprofessional and slow staff. The beach was amazing--- the beach club with the pool is the best place to hang out and relax. Great food-- Great drinks. Something for everyone! THE STAFF WAS GREAT! VILLA WAS VERY SAFE!